The Global 7500 has recently entered service making it the largest and longest range business jet on the market. It features an improved design over the Global 6000 aircraft. The length of the aircraft is 33.71m, overall height is 8.14m and wingspan is 31.79m. The aircraft features a new high-speed transonic wing, which significantly optimizes its aerodynamic efficiency. The aircraft features an onboard maintenance system (OMS), datalink, high-speed SATCOM, next generation cabin management system (CMS) and controller pilot data link communication (CPDLC). As of March 2019 there have been 22 Global 7500 business jets built and all have received a Certificate of Airworthiness – one is in operation and 21 are at the manufacturer waiting to be completed. One Global 7500 is in production. Two Global 7500 delivery positions are for sale and both of those positions are under an exclusive broker agreement. One delivery position has been on the market for 41 days, the other for 1,603 days. Originally named the Global 7000, the model was renamed the Global 7500 after its extended range was announced in 2018. Type certification with Transport Canada was completed in September 2018, the FAA in November 2018, and the European Aviation Safety Agency signed off on the new model in early February 2019. The Global 7500 had 100 secured orders as it entered service on 20 December 2018. VistaJet Charter operator (30), and NetJets fractional provider (20) have a combined total of 50 orders. Dassault launched the Falcon 900 in 1987 and introduced the Falcon 900EX in 1996. In 2003 Dassault began offering the 900EX with the EASy digital cockpit calling the model the 900EX EASy. Based on the Honeywell Primus Epic system, EASy (Enhanced Avionics System) offers improved safety via information management features to improve overall crew situational awareness. As of January 2019, 60% of the Falcon 900EX EASy aircraft were purchased pre-owned by their current owners, the other 40% new. 7.6% are for sale with the majority of those (89%) under an exclusive broker agreement. When for sale, the average time on the market is 288 days. The Falcon 900EX EASy received certification from the FAA and EASA in November 2003 and production ended in 2010. 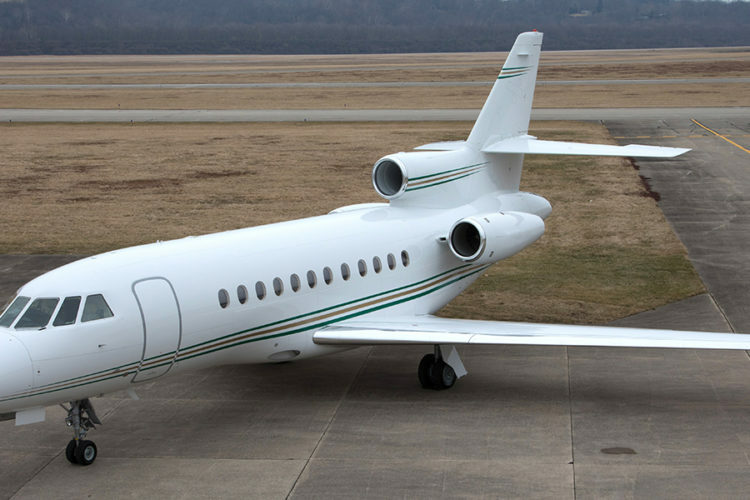 A total of 122 Falcon 900EX EASy business jets were built, 3 are retired. There are 119 Falcon 900EX EASy business jets in operation today. Most of these are wholly owned (117) with 2 in shared ownership. 12.6% are currently leased. North America has the largest percentage of wholly owned Falcon 900EX EASy aircraft (69%), followed by Europe (20%). The Cessna Citation XLS+ is the third aircraft in the Citation Excel series (also including the Excel and the XLS models). It is the updated version of the Citation XLS and features improved Pratt & Whitney PW545C engines and an upgraded Collins Pro Line 21 avionics suite. Exterior and interior restyling is also integrated into the new model, most prominently the extended contour of the nose and expanded seat widths. As of January 2019, 36% of Citation XLS+ aircraft were pre-owned by their current owner, the other 64% new. 4% are for sale with more than half of those (64%) under an exclusive broker agreement. When for sale the average time on the market is 123 days. Certification for the Citation XLS+ came in the first quarter of 2008 with the first customer delivery in the final quarter of 2008. A total of 261 Citation XLS+ aircraft were built, 1 is retired and 4 are with the manufacturer. There are 256 Citation XLS+ aircraft in operation today. Most of these are wholly owned (251) with 5 in shared ownership. 10% are currently leased. North America has the largest percentage of wholly owned Citation XLS+ aircraft (61%), followed by Europe (26%), and Asia (7%). 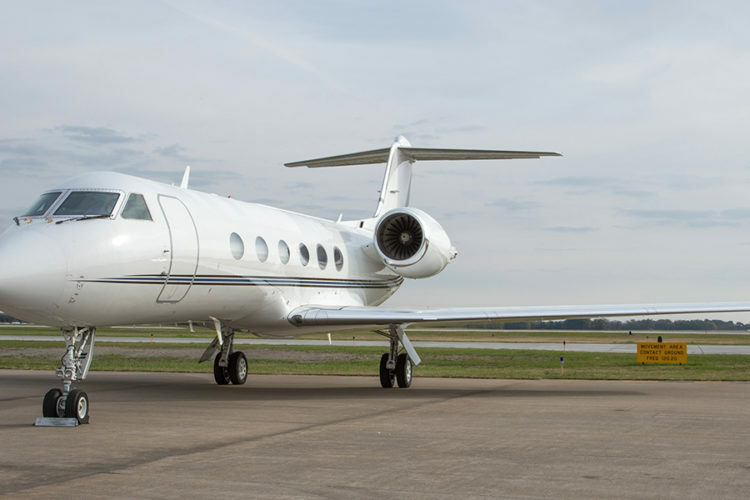 The Gulfstream GIV/GIV-SP is a midsize cabin business jet with significant improvements including a larger cabin, longer-range and advanced development over the earlier GII and GIII. The biggest improvement with the GIV/GIV-SP over the earlier Gulfstream models is the Rolls-Royce Tay engines which bring more efficient fuel burn and lowered noise emission. The GIV/GIV-SP is the first in the Gulfstream family to employ Goodyear Aerospace’s brake-by-wire system and a Dowty fail-passive steer-by-wire system, making maneuverability easier. The Gulfstream GIV-SP gross takeoff weight is a 1,400 pound increase over the GIV. As of October 2018, 85% of Gulfstream GIV-SP aircraft were purchased pre-owned by their current owners, the other 15% new. 8.9% are for sale with the majority of those (86%) under an exclusive broker agreement. When for sale, the average time on the market is 339 days. The Gulfstream GIV-SP (SP stands for Special Performance) replaced the GIV in September 1992. The GIV-SP has higher payload and landing weights and improved payload range performance. There is an Aircraft Service Change (ASC) 190 modification which allows an owner/operator to upgrade a GIV to a GIV-SP. A total of 304 GIV-SP business jets were built, 2 are retired. There are 302 Gulfstream GIV-SP business jets in operation today. Most of these are wholly owned (295) with 4 in shared ownership and 3 in fractional ownership. 11% are currently leased. North America has the largest percentage of wholly owned Gulfstream GIV-SP aircraft (86%), followed by Asia (6%).